itself as a result of costly problems at the AP1000 power plants it's building in Georgia and South Carolina. International news services now report that Japan's Toshiba Corporation (9502.T) is preparing to make a chapter 11 bankruptcy filing for its Westinghouse Electric subsidiary as soon as this Monday, March 27. For most of our readers this news evokes little surprise. This is merely another chapter of a slow moving financial and accounting train wreck involving nuclear design and construction firm Westinghouse and its troubled Japanese parent, Toshiba. But like an old, leaky garbage scow there is much to clean up in its wake. 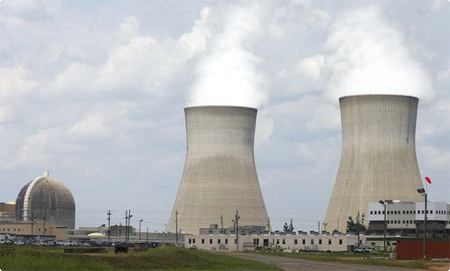 The two U.S. utilities with the most at risk are Southern Company and SCANA Corp. Westinghouse is presently constructing two unit, AP 1000 nuclear power stations for each utility. These projects are over-budget and behind schedule. It appears that Westinghouse offered both utilities a fixed price contract for these new nuclear plants. Our best guess is that this fixed price construction guarantee has doomed Westinghouse and prevented other potentially willing buyers from stepping in. No one it seems is willing to take on this seemingly open-ended nuclear construction liability. What does this mean for the two domestic utilities embroiled in this international financial quagmire? First, we expect that they will complete both nuclear construction projects. The bulk of heavy capital expenditures for both utilities seem to be in the 2017-2019 period. Second, it is in all interest of all potential litigants to see these plants completed. Westinghouse/Toshiba, for one, would at least get to showcase the AP 1000 design and its successor entity could advocate for additional sales of this reactor design. A working design has value. (What happens in the UK is another matter where Toshiba hoped to build several plants). The utilities, which need new power stations, get large, rate based, non-fossil base load power generating resources for the next 40-60 years. The worst case scenario for utility investors would be if the utilities had to cancel the projects and take big write offs. But we assign a very low probability to this scenario. Perhaps, more likely, a Westinghouse bankruptcy means abrogation of the fixed price contracts signed with Southern and SCANA. News reports this week indicated that both utilities had hired bankruptcy counsel. As these plants are brought on line, presumably in the 2020-2021 time frame, the matter will go before the state utility commissions of Georgia and South Carolina. Both commissions approved these nuclear projects. It's just that the plants will cost more than expected. Unfortunately for investors, they will have to live with uncertainty until the regulators make their decisions. There are no clear precedents for the decisions, other than that commissions typically allocate or split unexpected financial burdens like these between shareholders and consumers. And that the amounts at risk won't be modest given the size of the projects. Leonard S. Hyman is an economist and financial analyst specializing in the energy sector. William I. Tilles is a senior industry advisor and speaker on energy and finance . Petroleumworld does not necessarily share these views. Editor's Note: This commentary was originally published by Oilprice.com, 03/24/2017. Petroleumworld reprint this article in association with Oil Price.com. Link to original article.